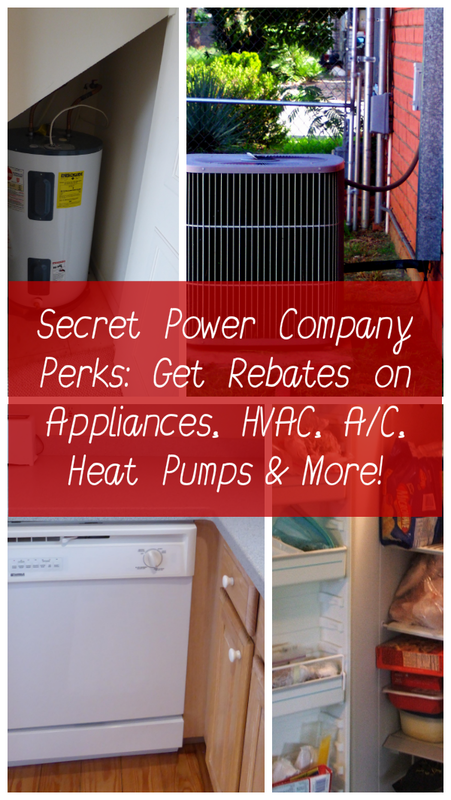 Secret Power Company Perks: Get Rebates on Appliances, HVAC, A/C, Heat Pumps, Etc. Queen Bee Coupons posted an amazing story about getting a free clothes dryer from her power company. 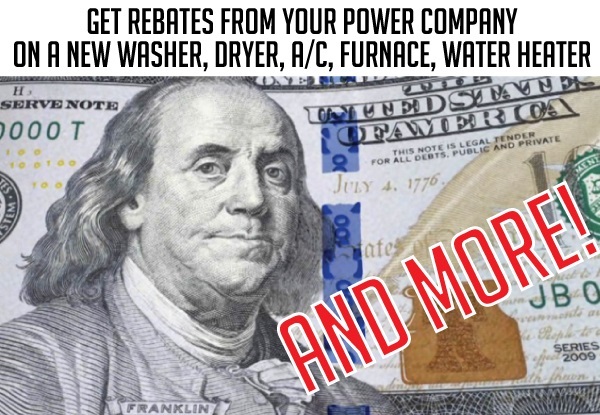 It may sound too good to be true, but many, if not most, electric companies offer full or partial rebates on various energy saving household items and services. You can usually find all of the information you need to participate, including rebate forms, requirements, submission information and searchable lists of participating, approved vendors on your power company’s website. What Might the Power Company Help Pay For? Many power companies will not only pay incentives for energy-saving purchases, but will also haul away an old appliance for free. They may even pay $25, $50 or more to take it off your hands and recycle it. Some electric companies also offer smaller deals such as free or heavily discounted CFL or LED light bulbs and high-efficiency shower heads. If your home uses natural gas, you’ll want to check with your gas company as well, since they sometimes have programs to subsidize purchases of energy-efficient gas furnaces and water heaters. I researched what my electric company, Duke Energy Progress, offers in the Raleigh, NC area. Duke Energy Progress provides rebates on duct repair and replacement (up to $190 per system), attic insulation upgrade and attic sealing (up to $500), high-efficiency heating and cooling system replacements ($300), heat pump water heaters ($350), HVAC audits ($100) and window a/c units ($25 per unit). 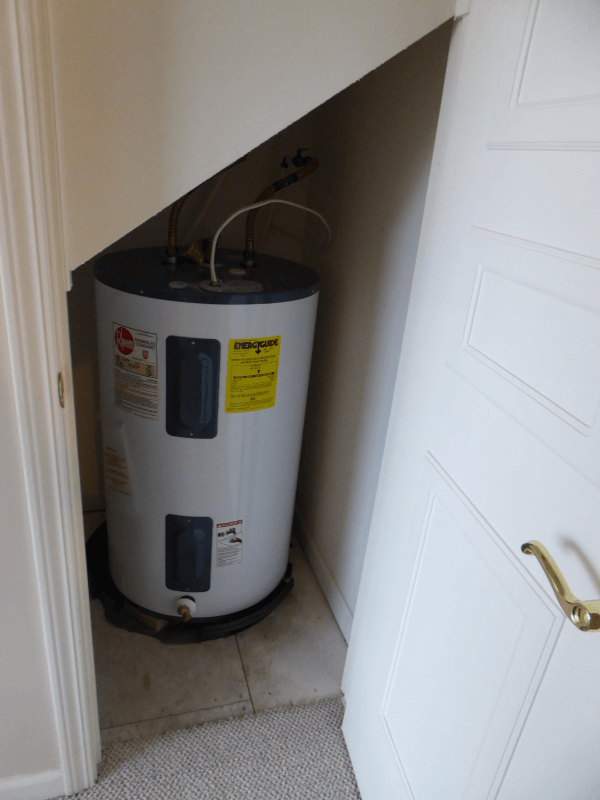 The local natural gas company, PSNC Energy, pays a $100 rebate toward the cost of an energy efficient gas furnace or water heater. I looked into what other utilities around the country offer in terms of rebates to promote energy efficiency and found that such energy efficiency rebates are available all over the country, in small town, rural areas as well as large metropolitan centers. 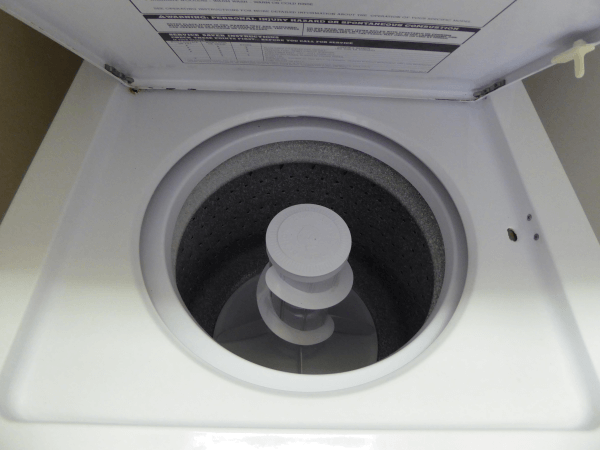 While most power companies and energy co-ops don’t offer the full cost of a new washer or dryer, some will spot you a new water heater – which would ordinarily set you back more than a washer and dryer combined. If you use Rural Electric Cooperative in western Pennsylvania (servicing Indiana, Cambria and surrounding counties), you can get free maintenance on your water heater and even a free, brand new Marathon water heater when your old one dies. You just need to sign up for their water heater management program, which helps reduce load during peak energy usage times. A Marathon water heater would normally cost $900 to $1200 to purchase, plus the cost of installation. 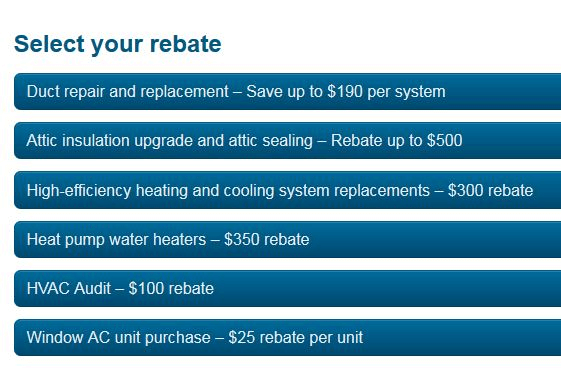 Tampa Electric offers rebates in varying amounts for HVAC maintenance, HVAC motor replacement, insulation, window replacements and duct work. 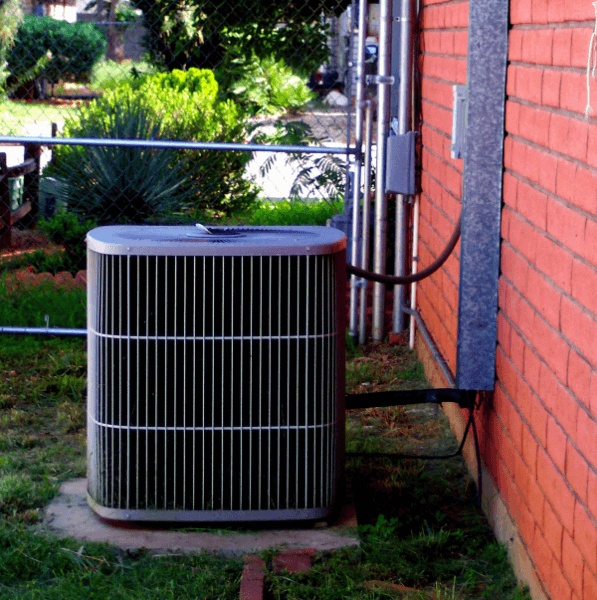 The company will also rebate $400 when you replace an old natural gas or oil heating system with a new, high-efficiency electric heat pump. Ottertail Power Company, servicing customers in North Dakota, Minnesota and South Dakota, provides rebates on new heat pumps, water heaters and thermal-storage heating and cooling systems. 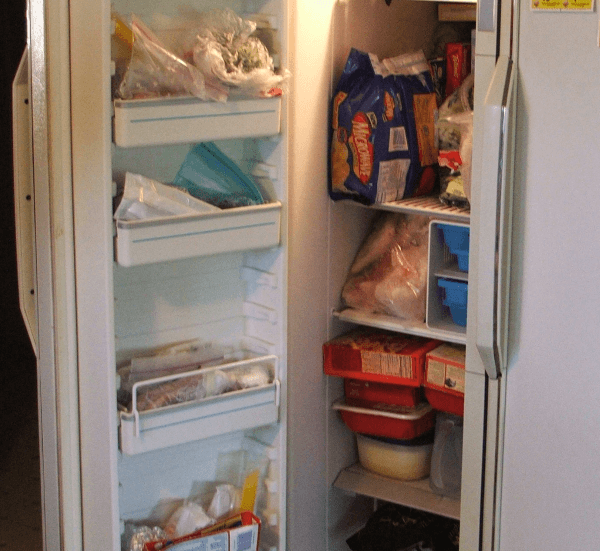 For Minnesota customers, the company will arrange pickup of old but working refrigerators and freezers and pay up to $50 for recycling them, through a program operated by the Appliance Recycling Centers of America (ARCA). 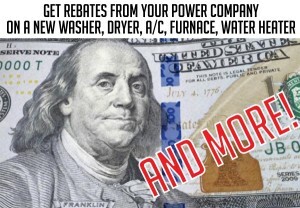 Baltimore Gas and Electric offers a particularly generous assortment of customer incentives, including rebates of $10 for Energy Star LED light fixtures, $50 to $100 for clothes washers, $25 for dehumidifiers, $100 to $150 for refrigerators, $75 for freezers, $50 for recycling a fridge or freezer, $100 for HVAC system tune-ups and up to $500 for heat pumps. ComEd, providing electric service to northern Illinois, offers up to a $400 rebate for installation of a new, energy-efficient air conditioning system, plus a variety of other homeowner rebates for increasing energy efficiency. 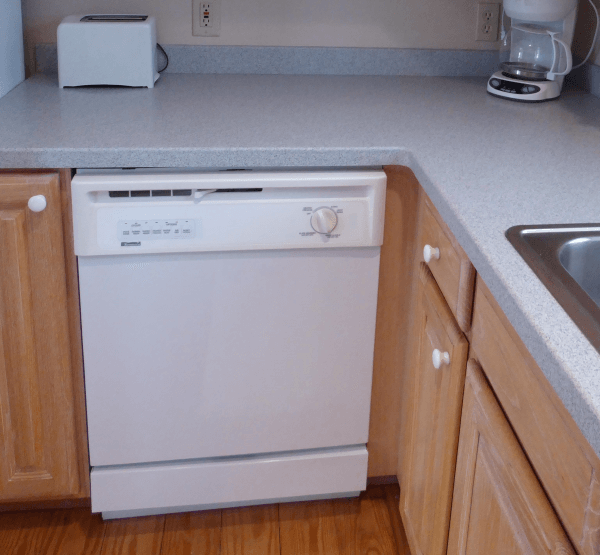 Four County EMC in North Carolina offers a $50 rebate for certain Energy Star clothes washers, dishwashers, refrigerators and freezers, plus $50 additional for recycling a refrigerator/freezer. Numerous electric companies and cooperatives in Colorado offer fairly generous rebates, such as the San Isabel Electric Association. SIEA will pay rebates on Energy Star purchases of $80 on a clothes washer, $60 on a dishwasher, $90 on a freezer, $90 on a refrigerator, plus $40 for recycling a refrigerator/freezer. They’ll also pay a range of rebates on heat pumps, air conditioning systems and water heaters, depending on what’s purchased. San Miguel Power Association offers similar incentives to their customers who purchase Energy Star appliances or install high-efficiency water heaters, air conditioning units or heat pumps. In Iowa, 16 utilities participate in a rebate program offering cash incentives for small items like ceiling fans, room air conditioners and programmable thermostats as well as large appliances, home heating and air conditioning. In addition to electric company programs, some municipalities pay homeowner rebates, often funded by government or private industry grants. The town of Chapel Hill, NC, for example, offers rebates of 20 to 40 percent of the cost of various types of energy saving devices and technologies, up to $1500 per home, including clothes washers, dishwashers, refrigerators, water heaters, lighting, furnaces , heat pumps, central air conditioners, programmable thermostats, caulking/weather-stripping, duct/air sealing and insulation. Most programs mentioned in this article don’t require a low income and aren’t charitable in nature. They’re separate from any payment assistance programs your power company might offer to those having trouble paying their bills. This article was originally published in January 2015 and updated in August 2016.